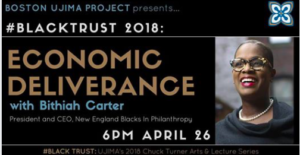 Boston Ujima Project’s third ever #BlackTrust Event in our 2018 Chuck Turner Arts & Lecture Series. The event opened with a screening of mini-documentary, “Are We Serious this Time?,” produced by Bithiah Carter and Bridgit Brown. 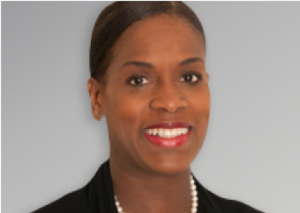 Bithiah Carter, President and CEO of New England Blacks in Philanthropy led a discussion about her work to reframe what giving, investing, and philanthropy looks like in Black communities. The event was free and open to the community. Light refreshments e provided.